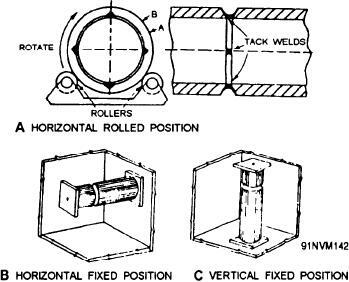 Figure 7-15.--Positions for welding pipe. does not describe the positions for welding pipe. pipe, not to the weld. you are welding in the horizontal fixed position (fig. pipe-first on one side, then on the other. pipe axis is vertical and held in a fixed position. with a predetermined welding process. manufacture of any object requires careful planning.